New, modern light rail vehicles on tracks separated from regular traffic will offer fast, comfortable and reliable transit service from McMaster University through downtown Hamilton to Queenston Circle. 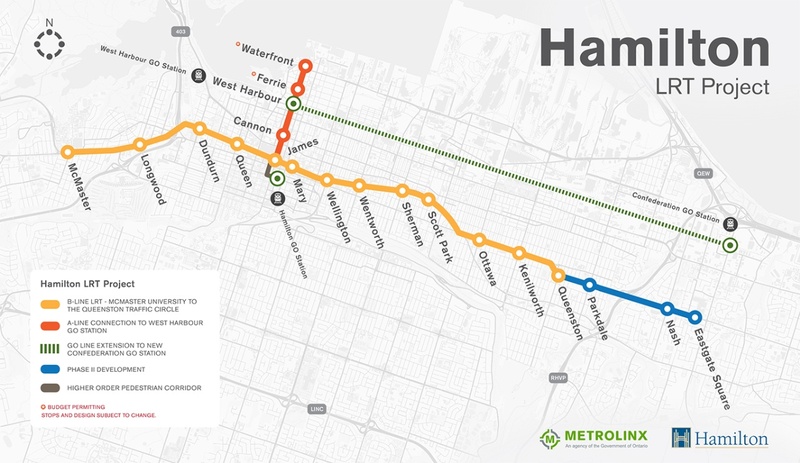 The LRT will also connect directly to the new West Harbour GO Station, and provide for a pedestrian connection to the Hamilton Centre GO Station. Procurement for the LRT will start in 2017, with major construction expected to begin in 2019.